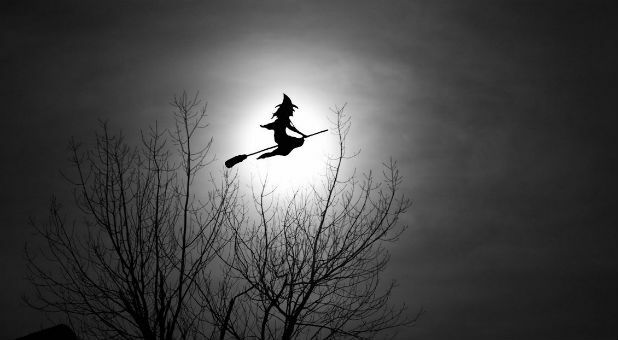 Why Witches, Occultists and Satanists Celebrate Halloween and Why You Should Not | Articles on the "New Age"
“…you may scoff at such practices but the cold, hard reality of the matter is that they are very real. The dark side has power, and those that have come out of witchcraft can tell you some stories that will stand your hair on end. On Oct. 31, most people will simply ignore the dark side of Halloween. The vast majority of the population will dress up in costumes, go to parties and eat candy without ever even considering where the holiday came from or what certain people are doing behind closed doors. The truth is that Halloween night is one of the biggest nights of the year for witches, occultists and Satanists. All over America, those who are deep into the dark arts will contact the dead, cast spells and conduct blood sacrifices (in some cases, human sacrifices.) As you will see below, there is a reason why animal shelters across the country ban the adoption of black cats this time of the year. But even our “innocent” Halloween traditions such as dressing up in costumes, “trick or treating” and carving jack-o’-lanterns all have their roots in ancient pagan practices. And every year the costumes for our young girls become even more sexually suggestive, the horror movies become even more demonic, and the public’s fascination with the occult just continues to grow. It truly is a festival of death, but most people don’t seem to care. In fact, experts are telling us that Halloween has now become America’s second biggest holiday. On the Wiccan calendar, Samhain is one of the most important points on “the wheel of the year.” Wiccans believe that it is the day when “the god dies,” and subsequently they celebrate his rebirth at Yule (Christmas). Originally the “Feast of the Dead” was celebrated in Celtic countries by leaving food offerings on altars and doorsteps for the “wandering dead.” Today a lot of practitioners still carry out that tradition. Single candles were lit and left in a window to help guide the spirits of ancestors and loved ones home. Extra chairs were set to the table and around the hearth for the unseen guest. Apples were buried along roadsides and paths for spirits who were lost or had no descendants to provide for them. Turnips were hollowed out and carved to look like protective spirits, for this was a night of magic and chaos. The Wee Folke became very active, pulling pranks on unsuspecting humans. Traveling after dark was was not advised. People dressed in white (like ghosts), wore disguises made of straw, or dressed as the opposite gender in order to fool the Nature spirits. The ancient practices described in those paragraphs sound very similar to what we do today in many ways, but without a doubt some of the traditions have evolved. For example, instead of carving turnips, those who celebrate Halloween carve pumpkins today. If you are not familiar with these things, you may scoff at such practices. But the cold, hard reality of the matter is that they are very real. The dark side has power, and those that have come out of witchcraft can tell you some stories that will stand your hair on end. Wiccans think of themselves as “good,” and so they tend to reject blood sacrifices and things of that nature. Satanists, however, perform human and animal blood sacrifices. For those who are deeper into the occult, blood sacrifice is an essential part of Halloween. Many animal shelters all over the nation ban the adoption of black cats this time of the year. It’s the week of Halloween, and if you suddenly wanted to adopt a black cat, you would probably have a hard time. That’s because thanks to their association with witchcraft, accepted wisdom holds that Halloween is a time when people ritualistically mutilate black cats, while some others sacrifice white cats. This entry was posted in New Age, New Age Articles, Occult and tagged be-ye-separate, halloween, https://newageoccult.wordpress.com/, Occult, samhain by pmaillet. Bookmark the permalink.